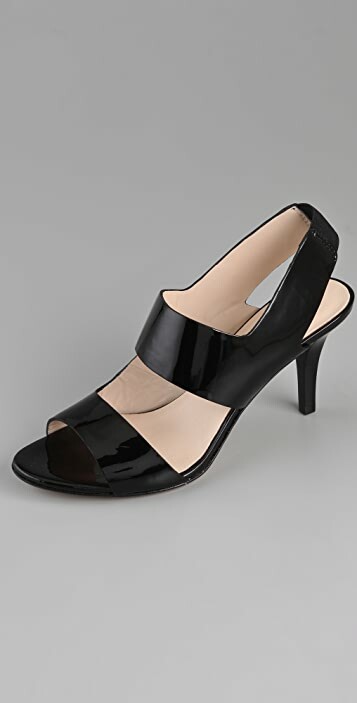 These patent leather sandals feature an elastic inset at the heel cap. 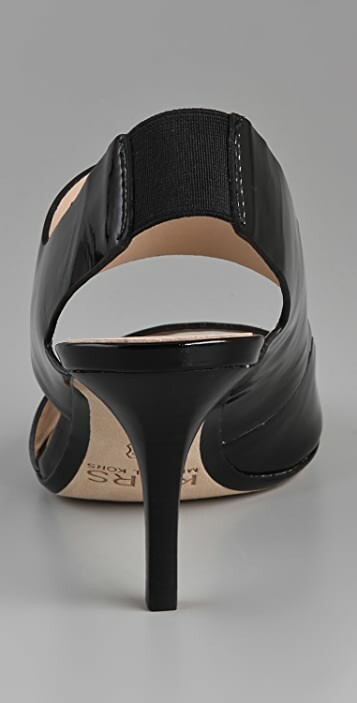 Stacked stiletto heel and leather sole. Why can't you get more shoes with heels this high? I bought these for work perfect in the summer. 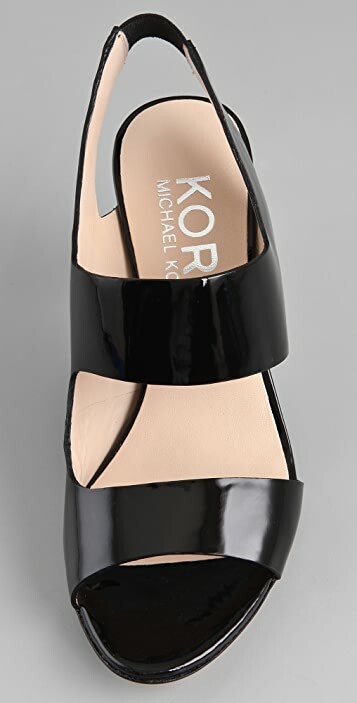 The heel hight is just right for the office - not too high. They are so shiny and pretty and more than that they are extremely comfortable. If they came in other colours I'd buy them too.